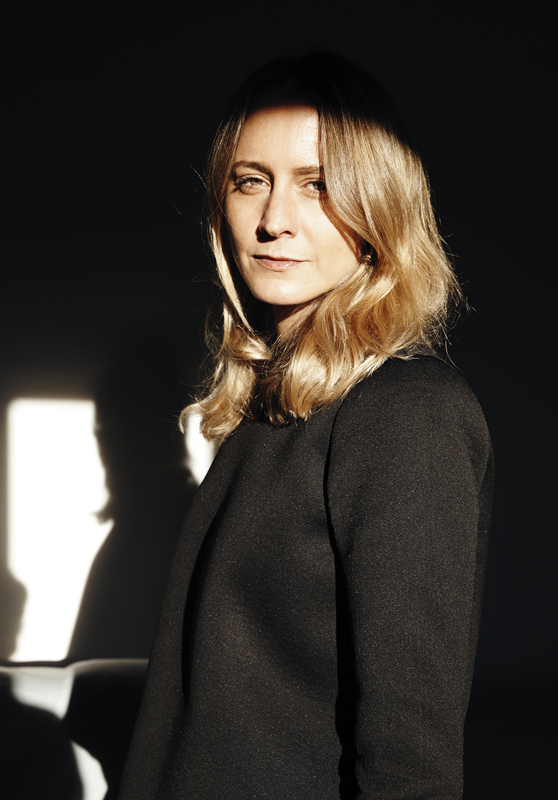 For this #SoapMuse, please welcome one of the most chic, smart and cultured women you can find in Milan: Genevieve Xhaet. The Italian – Belgian blonde lady from Biella, is a delicate mix of style and know how and she’s the founder and the designer of Flapper since 2013. This Milan based headwear brand, defined by a subtle elegant aesthetic, embodies traditional Italian craftsmanship to deliver high quality headwear pieces which reflect a smoothly stylish and refined character. Why she is a #SoapMuse? Because Genevieve is a modern flapper girl herself designing not only an accessorize but a style of of life for all the elegant yet badass and sassy ladies out there who are not afraid to be a little bit of eccentric and eclectic in their daily life. Every collection is designed following all the shades the personality of a special women can have. Beside all of that, Genevieve is a lover of culture and art in all of their many expressions and she created a workshop in Italy providing jobs to talented women. What else can I say? Enjoy our lil chat and then just leave, on a boat, towards the Sicilian islands, with with your new Flapper, just like Genevieve would do. Federica. So tell me Genevieve, how did you start your career? Genevieve. I was lucky enough to have worked for few years next to Pierangelo D’Agostin – a real visionary- for Jil Sander and Malo. During those years I run a deep search, I learned how to create suits and accessories and I started to be familiar with different types of materials. Hard work…! Sometimes I worked all night… But a good background music never failed, like John Cage songs for example. Eventually my love for hats is born from the lines I drew for the famous hats factory Barbisio, a place of pure industrial archeology. Federica. Your brand FLAPPER was born in 2013. I heard that, reading Francis Scott Fitzgerald, you fell in love with the figure of his wife Zelda and you started to study her life. So everything started from a special woman who influenced you and pushed you to find your inspirations in the flappers of yesterday, today and tomorrow, free, independents and strong women who are not afraid to show their personalities. Do you consider yourself a modern flapper? Every day I try to be like them, perhaps I’ll never be a Lee Miller, model of Man Ray and muse of surrealists, Vogue Photographer and war correspondent, wife of Roland Penrose… but I created a workshop in Italy providing jobs to talented women, and that already gives me so much joy. Federica. So who are the women who buy your creations? Genevieve. In addition to the e-commerce, now we have a corner in Rinascente and that gave me the possibility to understand who are the women who buy my creations. It was wonderful to discover that Flapper buyers are women of all ages who want an accessory that makes the difference. Federica. What does it mean beauty for you? Genevieve. Beauty is pure harmony, beauty doesn’t know any forcing… it’s the leaf that fluctuates in the wind. Federica. Where your aesthetic exactly came from? Where do you find inspiration and how do you organize it? Genevieve. My “Bible” is Spoken into the Void of Adolf Loos. Then I really love art and design, from ancient to contemporary, and cinema too. 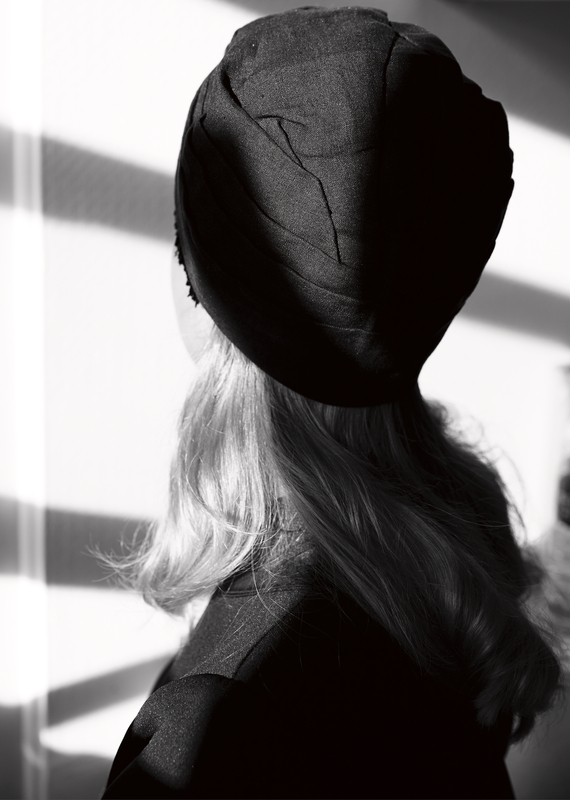 As instance, the last SS19 is inspired by the utopian of the movie “L’Eden Après” directed by Alain Robbe Grillet, french writer and film director, while the inspiration of the models is born from on obsessive study of nun’s veils, from traditional Breton women costumes and from the seasonal female workers in paddy fields, the so-called mondine, who used to tie foulards on headgears in a very interesting way. Federica. Your own brand, several collaboration from Chrome X to Emmanuel Ungaro, selling your collections at 10 Corso Como and Lafayette. What has been the biggest goal you achieved until now? Genevieve. It’s selling my creations in my favorite shop all over the world: LNCC. Federica. Art and design are very important in your life. Are you currently working on something special beside Flapper? Genevieve. I founded with my fiancé a no profit society in Sicily, called Incurva. The purpose is to take contemporary art to Sicily. Also, every year Flapper does a collaboration with an artist, this year it will be the italian Andrea Romano. Federica. How a girl should feel shopping your world? How is the “Flapper” experience? Genevieve. She should feel and perceive the femininity behind Flapper, the sophisticated touch of the women who want to create unique hand made creations. Federica. Do you have separate wardrobes for work and life, or are the two one and the same? Do you like to wear your own pieces? Genevieve. I never leave home without a Flapper headgear. When it rains I wear water proof turbans in nylon, during the day always put on hairbands, in winter I go from tricot hats to turbans in cachemire. The woolen triangles, that you can put on in any shape at will, are always with me (If my brother doesn’t steal them!). Can’t wait to wear the models of the new collection, one in particular, the Antea, a round hat with a shell shape that can be put on like a beret or in different ways… it’s fresh and protect you from the sun. Federica. Genevieve, Flapper and the summer: Where the girl of your dream should spend her summer and which one of your creations she should wear? Genevieve. On a boat, in the middle of Sicilian islands, with her unavoidable Flappers for all occasions. Federica. If you had to design a hat for SoapOpera, how it would be? Federica. What extra gear should a young creative woman entrepreneur have today? Genevieve. Culture: “the culture eats strategy from breakfast”. 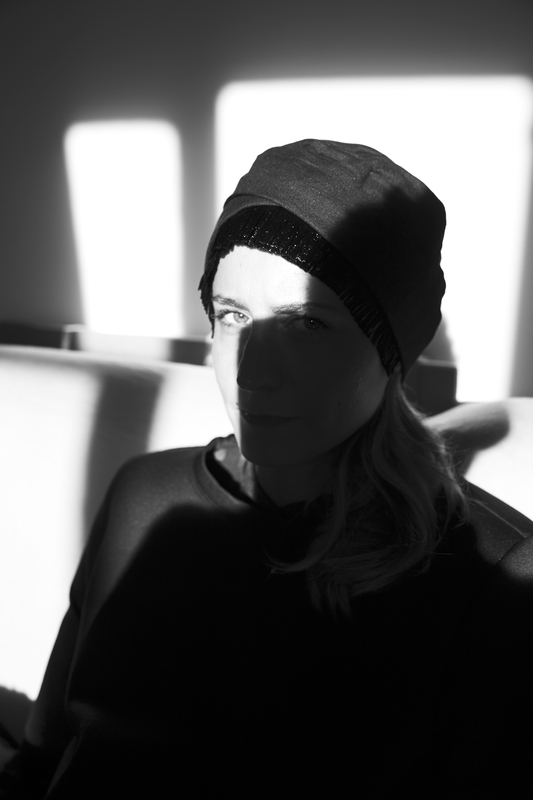 Genevieve Xhaet interviewed by Federica Ciuci Priori. All images by Ilaria Orsini, courtesy of Flapper.